The principles of drug therapies are fundamental to medical practitioners in all branches; but are often difficult to get to grips with. Prescribing at a Glance addresses the most common uses of prescription drugs, and follows progress from dose calculation, administration to monitoring the effects in the treatments of major presenting problems. 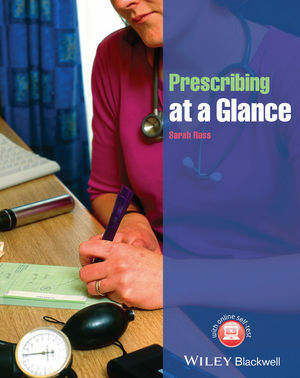 With a focus on prescribing, this user-friendly guide helps practitioners to develop crucial knowledge and skills, including establishing accurate drug histories, planning appropriate therapies, writing safe and legal prescriptions, critically appraising the prescribing of others, patient support, accessing reliable information about medicines, and detecting adverse drug reactions. From the series that brought you Medical Pharmacology at a Glance, and designed to help those in the later stages of their medical training become adept at the skills required for a vital yet often confusing subject – Prescribing at a Glance will help you fill in any knowledge gaps with simple step-by-step instructions, and clear, easy-to-remember guidelines.